There is an illness called SMA (Spinal Muscular Atrophy). It is the number one genetic killer of young children. One in every 40 people unknowingly carries the gene responsible for SMA. Researchers estimate that in as little as 5 years a viable treatment or cure could be found if sufficient resources are provided. I donate some of the profits from the items I weave to help fund research through the Gwendolyn Strong Foundation (GSF) because to me this is a cause worth fighting. This is because my friends the Zahn family - Barb, Noel, and little Lucy - are battling with type 1 SMA (the most severe) daily. Lucy’s parents are what I think of as ‘extreme’ parents. Extreme parents are parents/ guardians of special kids. They are extreme parents because they are pushed to the edge of the parenting spectrum. They have to deal daily with circumstances most cannot comprehend. They have to make decisions for their dear ones which are scary and nearly surreal for parents on the other end of the spectrum. I have come in contact with a number of other families with children with disabilities, from fairly light to acute and many of them are extreme parents. I am always amazed at how similar, and very different at the same time, our worries are. I want to say a very heartfelt ‘hurrah’ and ‘I’m with you’ (as much as I can be) to those of you who daily are out there fighting the ultimate battles for your loves. 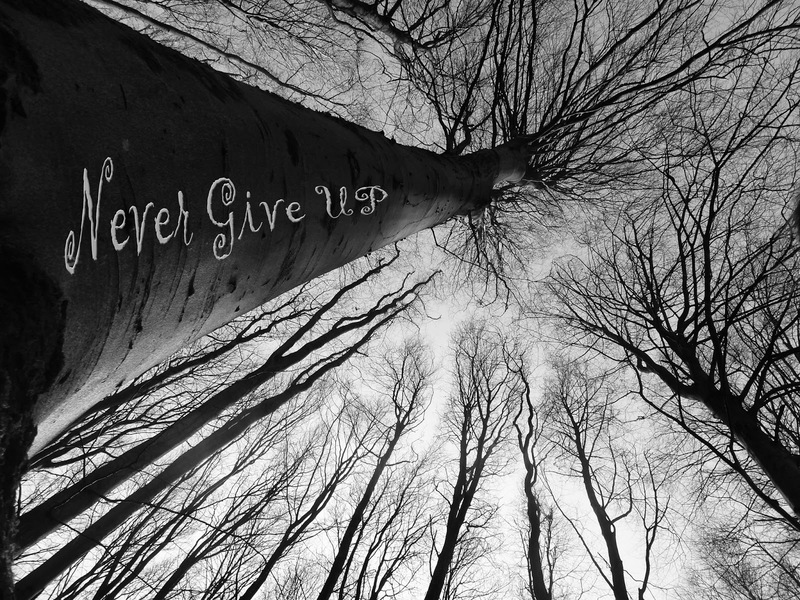 Just like you I will ‘Never Give Up’ in my hope of finding the cures needed. My support and my admiration of you and your children will never cease. I urge everyone to find a cause dear to your own heart and fight the good fight for it. No one may ever thank you personally, but the thanks will be those that were whispered by the mind of people who were in great need; your extra strength allowed them to get through to another day. If you'd like to see some of the scarves I'm selling to help the cause come over to LoomyBin.